We're such giant hippies that only today, at the ripe old age of two and a half, did Ezra taste his first bite of (grain-free, honey-sweetened) cookie. This isn't an original recipe--we just used this one--but we decided the occasion was momentous enough to warrant a post. 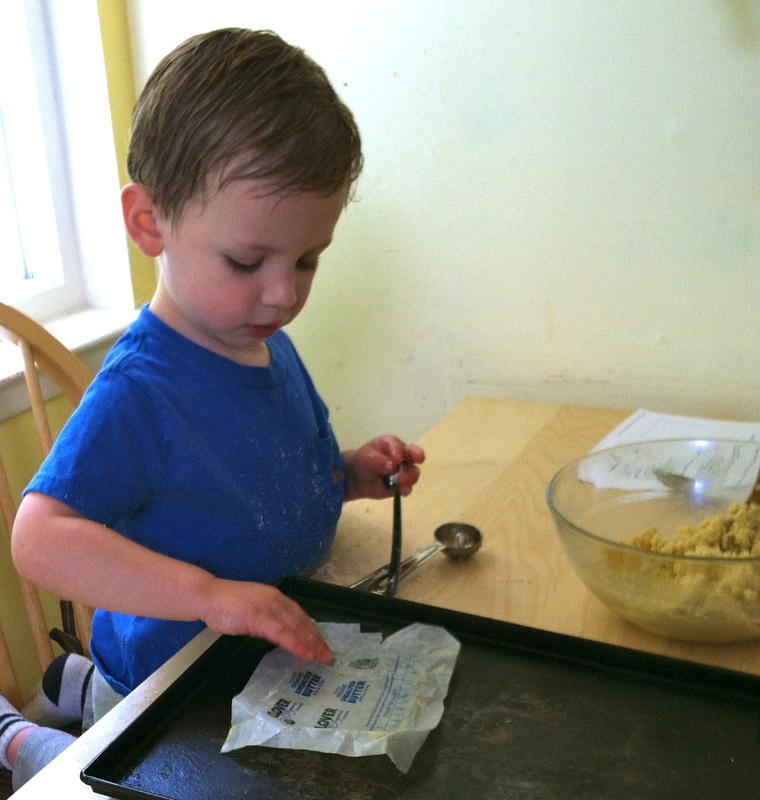 Ezra helped make these cookies by pouring the ingredients into the bowl and mixing. He greased the pan with a butter wrapper (big hit!) 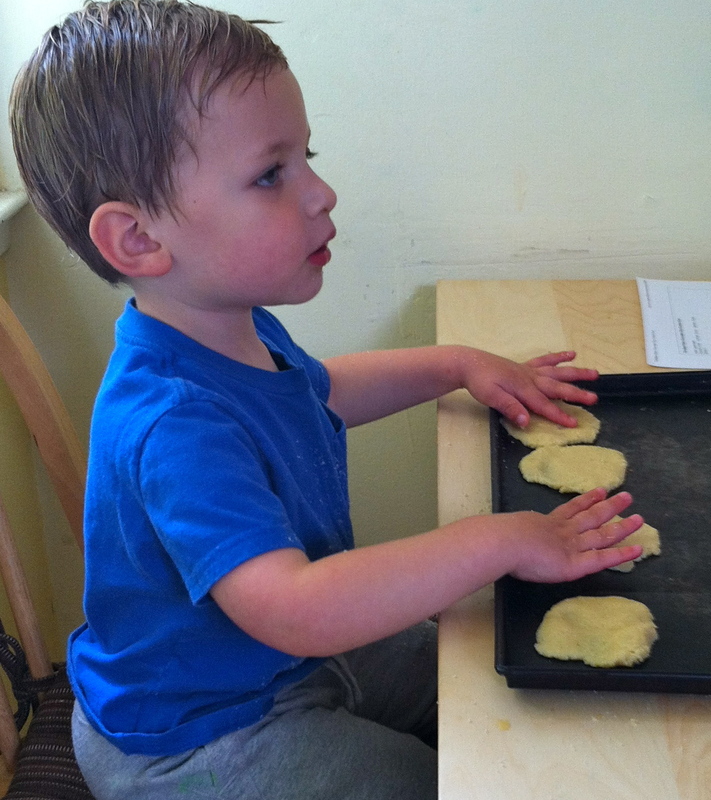 and he used his well-developed smushing skills to shape the cookies on the pan. We made a double batch and only put chocolate chips in half of the cookies. 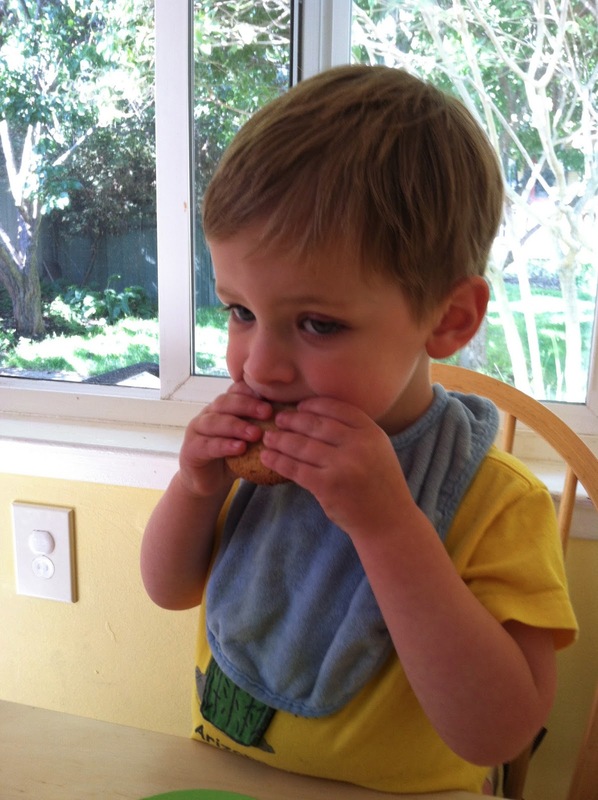 Yes, we are denying Ezra the joys of chocolate until he's old enough to find his own.